Every March, The Bookworm is transformed into a hub of literary, intellectual and creative activity as we celebrate all things books with The Bookworm International Literary Festival. BLF is an independently funded festival, dedicated to bringing you the best writers and thinkers. Starting with a small team passionate about literature, BLF has grown to become one of the world’s most prestigious literary festivals. This year, through our expertise and ever expanding connections, we will bring more authors, thinkers and intellectuals to events throughout China, as well as provide an even greater platform to showcase Chinese authors to the world. We believe in the power of literature. A good book makes us think, challenges us, and changes the way we see ourselves and the world. We’ve created BLF to be a forum for literature, thought and debate – what we believe to be fundamentals of a progressive society. Literature is an ongoing, live, global discussion and BLF is proud to be part of that discussion. Our festival simply would not be possible without the invaluable support of our sponsors and friends of the festival. From international flights to marketing materials, the festival relies on the support of many. Your donations – large or small – are what keep us going and help us bring you a world-class festival. The Bookworm International Literary Festival is a unique celebration of literature and ideas in China, programming 100 events across six cities, connecting over 70 Chinese and international writers and thinkers. Each year, the “look” of the festival reaches close to 100,000 people. If your design is chosen, your logo (or name) will be feature on all printed festival materials, on site pieces, our website, newsletter, blog and other marketing materials. The festival offers great exposure to designers looking to break into the arts and culture field of the China market. BLF is a literary festival but it is also so much more – booktalks with some of the world’s leading literary lights, interviews with young Chinese writers, music performances, poetry slams in nightclubs, film screenings, writing workshops, comedy events, one-act plays, live literature events, a children’s program full of interactive workshops and talks, and much more ! We are a truly international festival with authors from over 20 countries participating in our events. The image of the 2012 festival should demonstrate all the myriad aspects of the festival as well as be fresh, clean, modern, dynamic, and fun! Each year, a different designer has created the central branded image of the festival. This design is then used on the festival program and used in different iterations on tote bags, posters, tickets, advertisements and online. As a guideline, our branded colors are white, black and magenta. The winner of the design competition will be highlighted on our website, blog, newsletter and on all printed materials where the design is used. Attached please find our logo and images of previous festival branding. Please submit a JPG/PDF of your design by November 30, 2012. All designs should be translatable to a variety of media – printed booklets, websites, t-shirts, bags, etc. Poppies for The Royal British Legion are available at The Bookworm. Donations will go to support the Legion’s mission: providing financial, social and emotional support to the millions of British men and women and their families who have served or are currently serving in the Armed Forces. The tradition dates back to WWI, when fields of red poppies bloomed on the battlefields of Belgian Flanders, a sign of renewed life in the wake of the devastation. The poppies inspired Colonel John McRae, a doctor with the Canadian Armed Forces, to write “In Flanders’ Fields,” a poem that quickly became some of the most famous lines to be written about the first World War. There are few Chinese families, mine included, who were not touched in some way by The Great Famine. Thirty-six million people died in the aftermath of Mao’s disastrous Great Leap Forward. NPR’s Louisa Lim has just filed an important 2-part report on efforts to record the devastations of Mao’s Great Famine. Part I: The lifelong work of a tenacious Xinhua reporter who refused to let history forget the man he called his father. 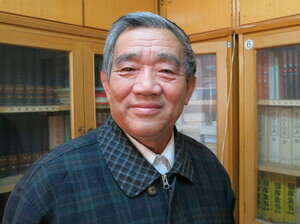 Part II: The ongoing effort of young Chinese people to gather and preserve a oral history if the period. Yang rushed home to find a ghost town — no dogs, no chickens, even the elm tree outside his house was stripped of bark, which had been eaten. The teenager took rice for Yang Xiushen, the man he called his father, but who was really his uncle. But the elder Yang was no longer able to swallow and died three days later. Mirror, mirror on the wall, who is the grumpiest one of all? From the folks at Flavorwire, a great list of literary curmudgeons. The Edinburgh World Writers’ Conference is a unique series of events that will bring writers together around the world to create an historic picture of the role of literature today. The conversation begins at the Edinburgh International Book Festival where 50 world renowned writers will join members of the public every afternoon from 17-21 August 2012 to discuss the five topics that almost brought writers to blows during the infamous Writers’ Conference of 1962. The World Writers’ Conference will go on to visit 15 different cities – including Beijing for BLF 2013 – over the following 12 months giving writers in different countries the chance to add their voice to the growing debate about writing and its relationship to contemporary life. You can also continue the conversation online at the Edinburgh World Writers’ Conference website, which will feature live broadcasts of the events in Edinburgh and videos of the international events. Another week, another continent visited by the Edinburgh World Writers’ Conference. Following a packed 5 days in Toronto EWWC is now heading to Siberia at the Krasnoyarsk Book Fair. Day 1: Thursday, November 1 – Melvin Burgess will discuss with fellow author Andrei Astvatsaturov UK and Russian perspectives on the universal question ‘Should Literature be Political’? Day 3: Saturday, November 3 – Theresa Breslin will bring the Scottish view to the question of ‘A National Literature?’ drawing comparison and contrast with a country the size of Russia, represented by Kirill Kobrin. Browse full details here. A livestream will be embedded at here. Join in the conversation! Interested in being a part of one of China’s premier cultural events? Join our team! We are hiring a few positions for BLF 2013. Email us to find out more about this positions.